Amazon has a listing for The Flash By Francis Manapul and Brian Buccellato Deluxe Edition, a hardcover collection coming out in March 2016. I’d like to think they’ll also include the main story from the second annual, the other two Villain’s Month one-shots (Grodd and Rogues) and the three-part “History Lessons” from Flash #27-29, which Buccellato wrote solo with other artists. 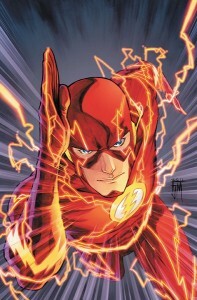 Manapul and Buccellato had the unenviable task of following superstar Geoff Johns and establishing the New 52 version of the Flash, and they succeeded in not only making the book their own, but becoming one of the stand-out creative teams of the relaunch. 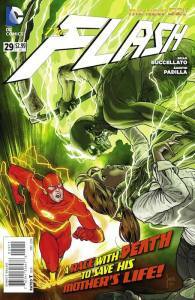 This entry was posted in Flash News and tagged Brian Buccellato, Collections, Francis Manapul, New 52 on July 7, 2015 by Kelson. While co-writing The Flash, Brian Buccellato self-published Foster, a six-issue horror miniseries. Only five issues saw print, though he published the conclusion digitally as a PDF. This July, OSSM is releasing the whole story as a trade paperback. Fanboy Comics has the cover and a preview of the book. 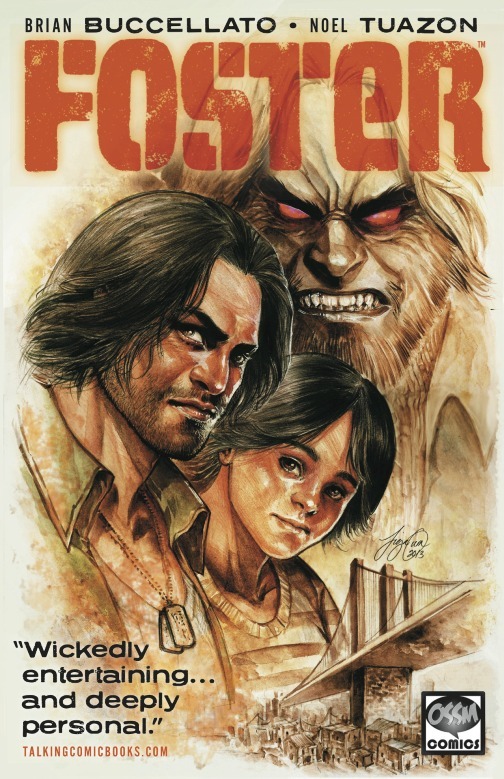 FOSTER, a haunted war veteran trying to forget the world at the bottom of a bottle, becomes the guardian of a 6 YEAR-OLD BOY who is the offspring of a woman and a PRIMAL RACE OF SUPERNATURAL CREATURES that lurk on the fringes of society and need him to repopulate. In a world where technology is stuck in the analog ’70s and danger lurks around every corner, three rival factions want the half-breed child. Now Foster must navigate the shadow world, twisted scientists and his own past in order to keep the boy safe while winning his trust, nurturing his humanity, and trying to prevent him from giving in to the monster within. 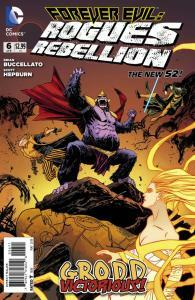 This entry was posted in Covers, Creators and tagged Brian Buccellato, Foster, Noel Tuazon on May 23, 2014 by Kelson. Brian Buccellato and Van Jensen both have projects on Kickstarter right now that you should check out. 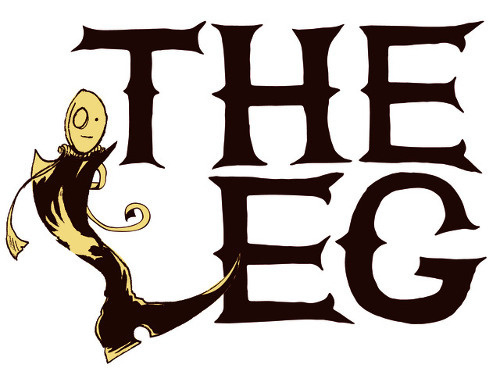 Van Jensen’s The Leg is an original graphic novel with art by Jose Pimienta, about the disembodied, sentient leg of Santa Anna. The book is finished, and the goal of the campaign is to raise money to print and distribute it to backers. Think of it as a pre-order with optional benefits. Once upon a time in Mexico—more specifically, in the 1880s during the Pastry War—President Santa Anna lost his left leg when it was struck by French cannon fire. Santa Anna gave his missing limb a full military funeral (true story!). But when the Mexican people rebelled against Santa Anna (because he did insanely vain things like giving his limb a military funeral) and threw him out of office, protesters exhumed his leg, dragged it through the streets and cast it aside (also a true story!). It hasn’t been seen again…until now! Our story is set in 1938, when the Leg has reappeared, clad in a tall leather boot. When the Leg learns of a new threat against Mexico, it embarks on an epic journey across the country, battling with villains both modern and magical in its quest to save the country and redeem Santa Anna’s tarnished legacy. Will the Leg succeed in its quest? The answer lies inside THE LEG: The Remarkable Reappearance of Santa Anna’s Disembodied Limb. 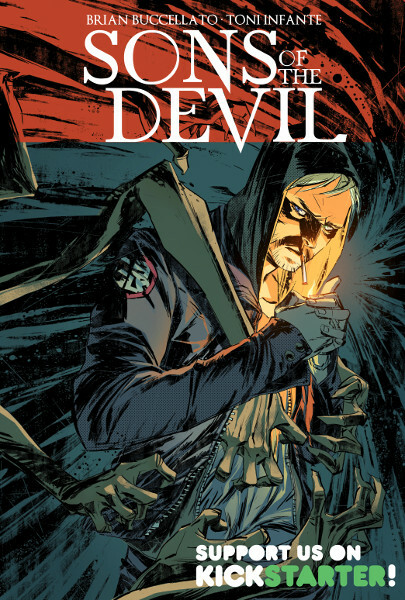 Brian Buccellato’s Sons of the Devil is a short film and ongoing comic book series. The crowdfunding campaign is to get the film produced and get the comic book started. SONS OF THE DEVIL is a character driven psychological thriller that is told in multiple timelines across 25 years. In 1989, the FBI raid the remote compound of deranged Cult leader DAVID DALY– only to find him comatose among the 93 murdered followers he sacrificed in a devil’s bargain. The only survivors are six infants rescued the night before the bloody massacre. UPDATE: Bleeding Cool has an interview. This entry was posted in Creators and tagged Brian Buccellato, kickstarter, Sons of the Devil, The Leg, Van Jensen on May 22, 2014 by Kelson. This entry was posted in Reviews and tagged Brian Buccellato, Flash, Forever Evil, Nick Filardi, Rogues Rebellion, Scott Hepburn on March 27, 2014 by Ed Garrett. We finally come down to one last secret to be revealed as Brian Buccellato bids a fond farewell to The Flash and heads off into the Gotham sunset. 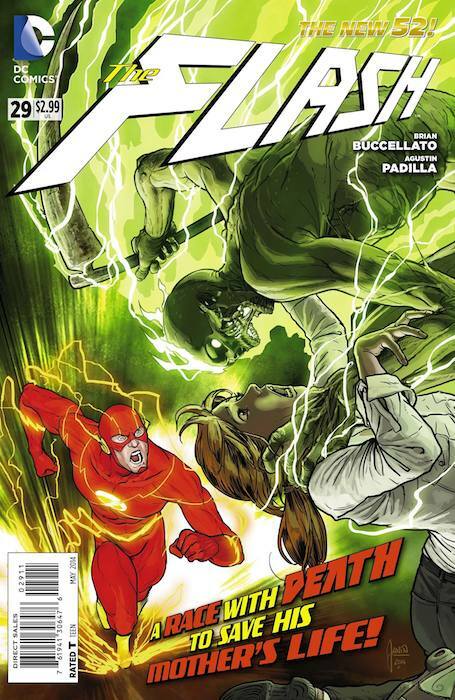 Barry is tracking down the Keystone Killer, but there are other powerful secrets that will be unearthed along the way in this exceptional issue of THE FLASH. This entry was posted in Reviews and tagged Agustin Padilla, Brian Buccellato, darryl frye, Flash, Keystone Killer, Matt Hollingsworth on March 26, 2014 by Ed Garrett. Flash #29 preview is up – with new cover art! Hero Complex has a preview of Flash #29 by Brian Buccellato, with Agustin Padilla taking over for Patrick Zircher, due in stores next week. In the conclusion of this three-part murder mystery, Flash and Deadman team up to find the supernatural Keystone Killer before he strikes again. It’s a mystery that may — or may not — answer the question of who really killed Barry Allen’s mother in the post-Flashpoint timeline. This entry was posted in Flash News and tagged Agustin Padilla, Brian Buccellato, Preview on March 21, 2014 by Kelson.